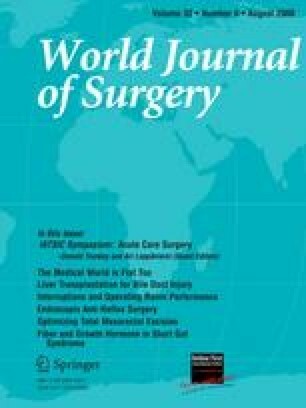 The recent outcome of adult-to-adult living donor liver transplantation (ALDLT) using small-for-size grafts (SFSGs; GRWR <0.8%) has been excellent after right grafts were exclusively used in large-volume ALDLT centers. We compared the outcome of ALDLTs using 11 right SFSGs (group R) with that using 18 left SFSGs (group L) of our center. The dysfunction of graft was defined dysfunction as hyperbilirubinemia (>5 mg/dl), prolonged prothrombin time (>2 INR), or uncontrolled ascites (>1,000 ml/day) on 3 consecutive days in posttransplant 7 days, and the dysfunction score (DS; the sum of points given per each sign) of the graft was used to describe the SFSG dysfunction severity. The pretransplant recipient status was similar between the groups, but the 1-year mortality rate was 0% in group R and 33.3% (n = 6) in group L (p = 0.038). The ICU stay was longer in group L (20 days) than in group R (11 days; p = 0.004). Hyperbilirubinemia in group R vs. L was noted in 54.5% vs. 50%, prolonged prothrombin time in 18.2% vs. 50%, and uncontrolled ascites in 54.5% vs. 100%. The DS was lower in group R than in group L (1.3 vs. 2; p = 0.007). The DS was zero in four right liver recipients. On multivariate analysis, the only factor affecting DS was the graft side. The clinical signs of SFSG dysfunction were less arduous and there was no 1-year mortality in cases in group R. Therefore, the right SFSG may be used for ALDLT in the future base on the transplant center’s experience. Presented at the 12th annual congress of the International Liver Transplantation Society, Milan, Italy, May 3–6, 2006. The authors thank Seung Wook Hwang for his artistic contribution.